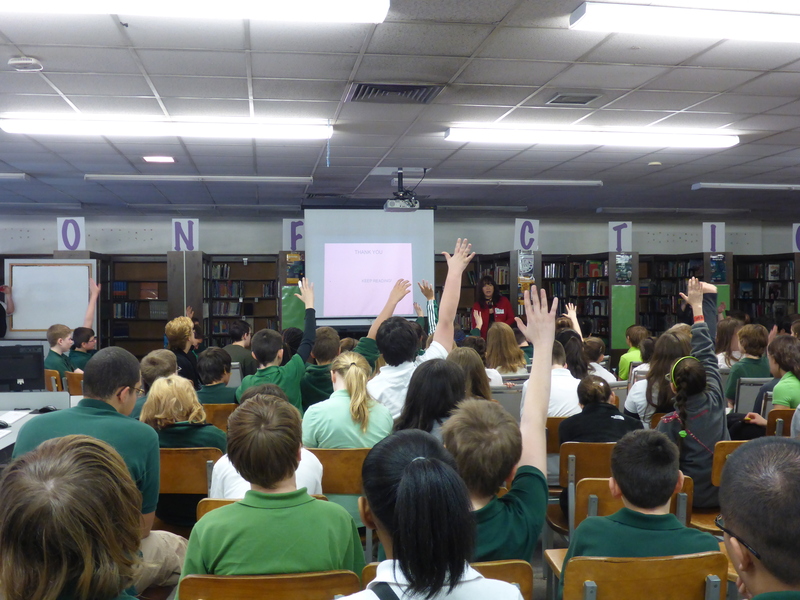 I spoke at the Ridley Middle School in Philadelphia recently. 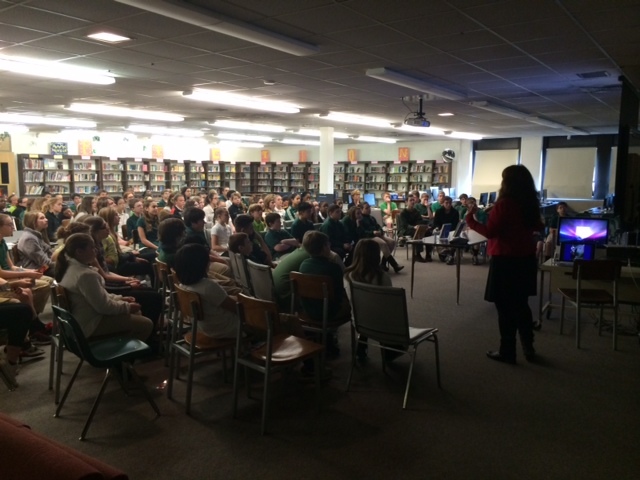 The students were incredibly smart; the questions were stellar. And the questions didn’t stop. I would love to see where these students are in ten years. The next day I was at a great B&N in the Neshaminy Mall, in Bensalem (a suburb of Philadelphia). 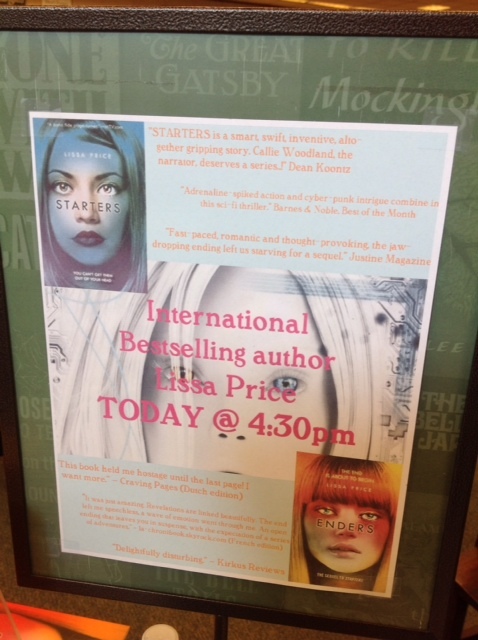 I did a signing of Starters and Enders there on Divergent Day — the first Saturday of the film release. 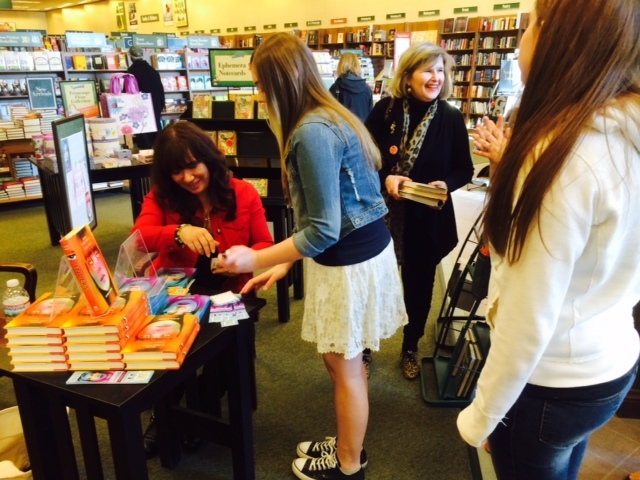 Loved meeting the Philly readers! 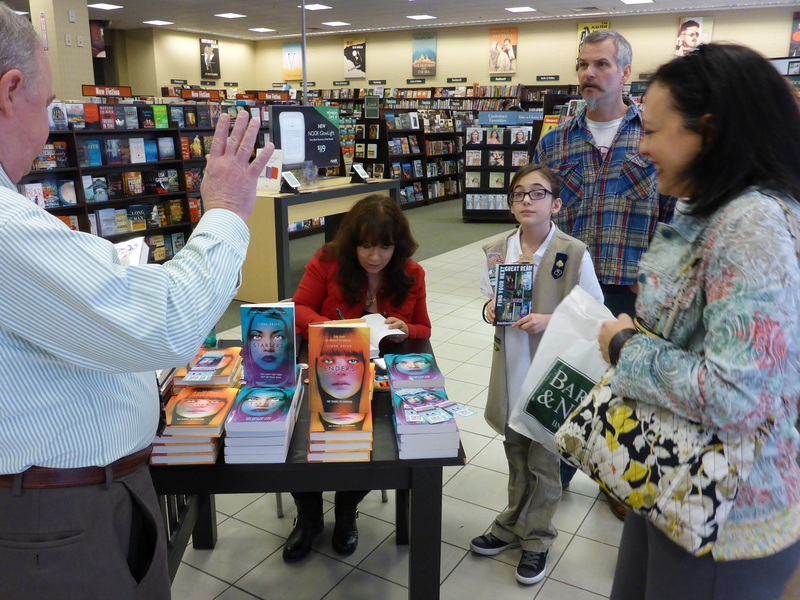 Am especially excited when I get to meet guy readers. The staff was WONDERFUL. 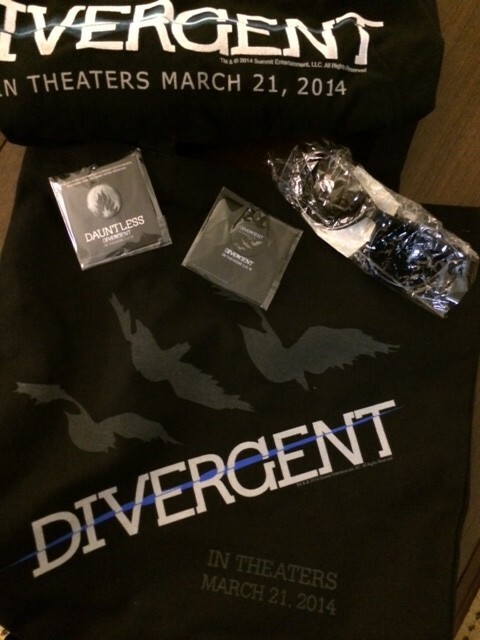 This is the special swag package they gave me. And, Divergent chapstick. I was also at the B&N in Broomall, PA, another Philly suburb. This B&N is one of the classic ones, a pure store with no cafe, no stationary items — just books! Again, the staff is terrific and supportive to authors. 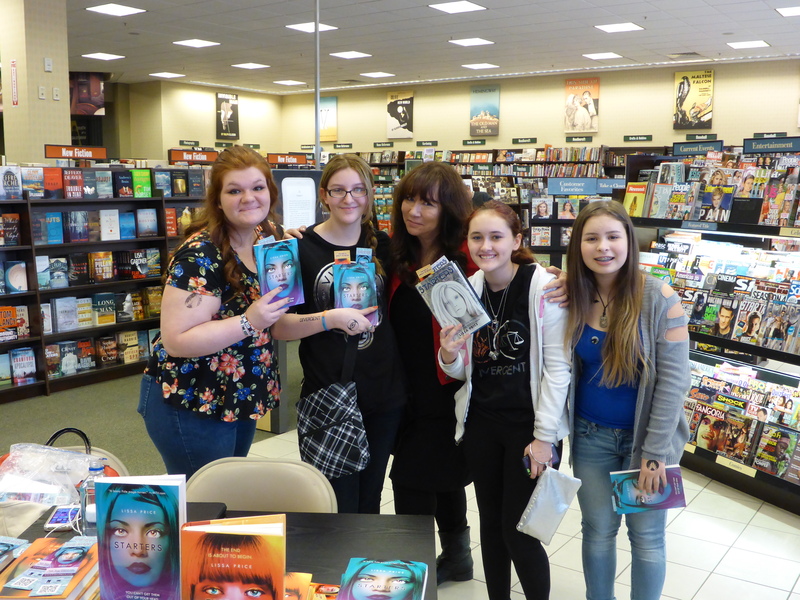 Some students from my school appearance the other day came in to get the book. Both of these stores may have some signed books left. Thank you, Philadelphia! 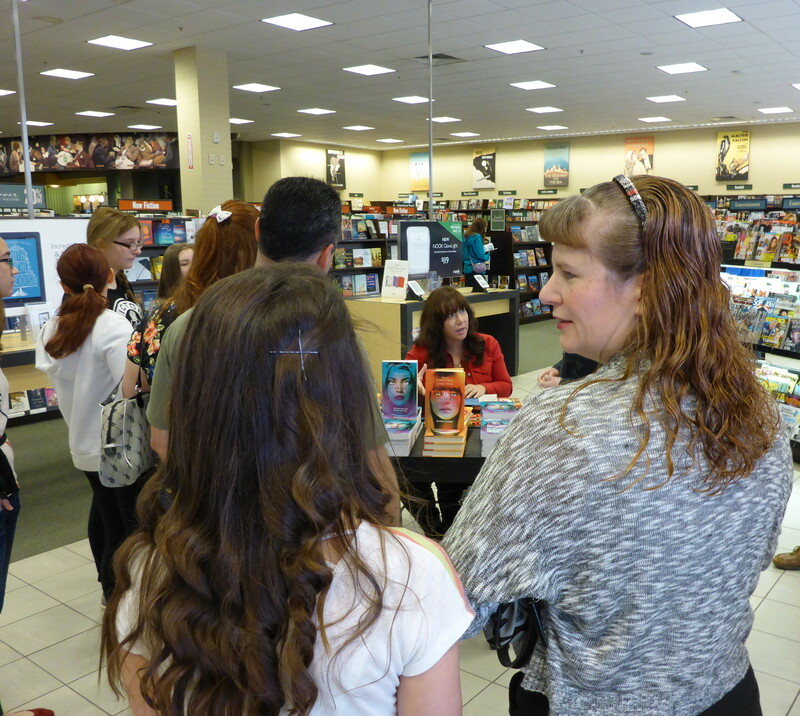 I truly loved meeting you all. Previous Post: Love Trouble with Tribbles?